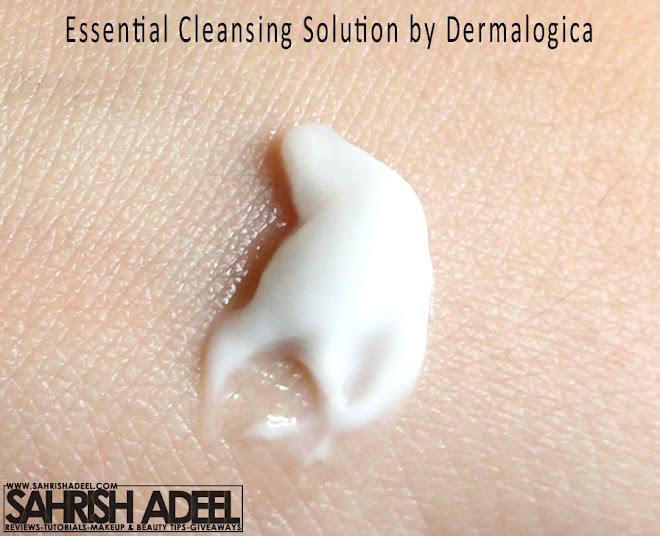 Essential Cleansing Solution by Dermalogica - Review & Swatch | Sahrish Adeel - Malaysia based Pakistani Beauty & Lifestyle Blogger! A cleanser is an important skin care product that everybody need to use these days. No matter if you do or don't use makeup, the pollution alone is enough to gather up impurities, dust and oil on to the skin and a cleanser is something that will ensure the health of your skin if used regularly. 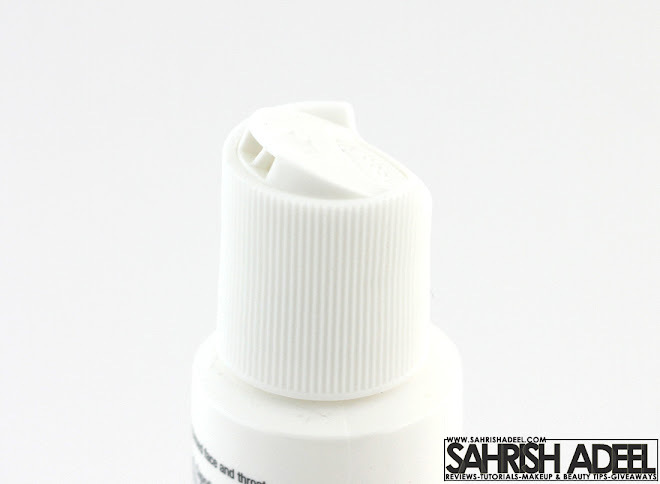 The packaging of the product reviewed in this post is a sample pack and it contains 30 ml of product while the original packaging which is available in two sizes and that you can see here contains 250 ml and 500 ml of product. The one that contains 250 ml of product has the same system to bring out the product as the sample has in this post while the one that contains 500 ml of product has a pump system to bring out the product. All of these come in plastic bottles. No artificial fragrance or color. Suitable for dry, sensitive and mature skin types. Can also be used for oily and combination skin types. Cleanses the skin perfectly leaving skin moisturized. Even removes tough eye makeup perfectly. Does not irritate eyes at all. My skin is really oily and I did not expect this cleanser to work well. I started using it and I clearly noticed that it removes everything from skin and leaves skin really smooth and fresh looking. However, my skin becomes oily soon after I use it as it is not meant to be for oily skin type. But since I have a habit of using moisturizer before I go to bed, this cleanser works as a two in one product for me. I cannot tolerate skin care products with heavy fragrances and for my eyes this cleanser is really good as it does not contain any artificial fragrance, hence it does not irritate my eyes at all. Moreover, it works great removing tough eye makeup like waterproof liners and eye shadows applied over eye primer. The only thing I had a problem with is due to its way too creamy texture, it dries up quickly and I have to add water more than usual to make it work properly. Sounds hectic? Not anymore. Most of the times, I put some amount in my palm and add a bit of water, then rub it all over my face like a face wash and rinse with tap water. Quick and works like a charm. You have washed your face, cleansed it and applied a moisturizer all at one time. Overall, I am happy with this product. People with dry, sensitive and mature skin should really give it a try. It will keep your skin moisturized and lock in the necessary moisture. 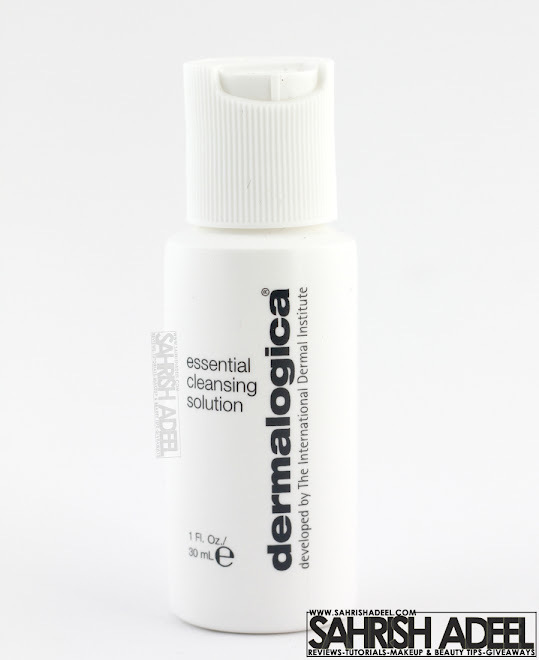 Essential Cleansing Solution in 250 ml costs $34 and in 500 ml costs $51. If you are living in US, you can buy it online from Dermalogica's website here. They have their franchises in many countries and you can buy it from there as well. If you are living in Malaysia, you can visit Dermalogica's Facebook page for Malaysia here for more information on their range and store locations. For my readers in Pakistan, you can visit Dermalogica's Facebook page for Pakistan here to inquire about authorized sellers in Pakistan. Have you tried any product from Dermalogica yet? Share your experience. Also, check out my review on Daily Microfoliant by Dermalogica here.